FT8Call is gone and it’s now JS8Call. From 0.7 and onward, FT8Call will be called JS8Call and the FT8Call mode will become JS8 (Jordan Sherer-designed 8-FSK). Over the weekend, October 7, 2018, the new JS8Call software was born. I have downloaded and installed the new JS8Call and the software looks good. I have already made a few contacts with it using my iMac, Icom 7610 and 5 watts into a 2 element beam. Why the Name Change to JS8Call? The primary reason for the name change is because the designers of FT8 (Franke and Taylor) asked Jordan, KN4CRD to change it. The mode is JS8 and that sounds better to me than FT8Call. 0.8 should be much better for decodes where time has drifted between stations. But, because of this and some message format changes, 0.8 is backwards incompatible with 0.7. BEACONs are gone. They are called HEARTBEAT now. The idle watchdog timer now only applies to HEARTBEAT transmissions, so it should help to encourage folks to heartbeat while they are near the station control point and can make a QSO. There’s a new Group Callsign feature. It allows you to direct a message to a pre-arranged group name. JS8 is a easy mode and very exciting for many Hams. I’ve noticed a huge uptick in searches for JS8 and JS8Call, so I am going to experiment more with it. I plan to take advantage of these modes while mobile and portable when conditions are poor. It may not be everyone’s bag of tea, but it’s here and being used! What are your thoughts on JS8? JS8Call Download Links (Join the Group) Mac, Windows, RaspberryPi and Linux. Now I understand the clock synchronizing thing. NIST via internet and my windows 10 automatic setting feature did the trick. Have fun folks and be patient. I just installed WSJT-X on my HP Stream and at first it didn’t decode. After installing the timesync app, no problem! I think I just figured out something. I was looking at waterfalls a tad above Olivia at 7.072. I should tune higher eh. I have found the same. There seems to be a lot of stations using AUTO and BEACON, only a few to have a QSO with. I’m still working at it because there seems to be a lot of interest right now. P.S. I am having a QSO with WD9DUI right now and it is going very nicely! I found chatting to be cumbersome. One good sentence would cause 5 uploads, I think 15 second segments. I might be missing the main point of JS8 but PSK still looks pretty good to me. It is my opinion that JS8 will bury FT8. FT8 with chat…what is there not to like? Contests, schmontests. That is just a more automated version of FT8, if that were possible. WSJT-X is further along and offers much more. JS8Call just does JS8. I’m anxious to use FT8 in a contest, just for kicks. JS8 is not for contesting, but more for chatting IMO. It has great potential, but I hope it evolves to something more streamlined for two way chat, than today’s version. Hi and thank you for commenting. I can see your point and two way chat is nice. It takes a little time to understand how it works in a QSO, but the more time I spend with it the better I understand it. The auto is a little confusing at times. I found myself having a QSO with a station on auto mode, HI HI! Maybe there is some potential for emergency communications with JS8. Unless someone comes up with a structure for competition JS8 will set on the sidelines as FT8 continues to attract significant activity. FT8 already had a competitive structure – the Contest. Unless JS8 can offer a form of competition that is more efficient than FT8 it will remain on the sidelines. 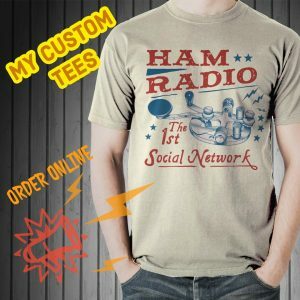 Let us hope that JS8 can foster some competition structure that will contribute to the market for Ham Radio products. Nice to hear from you and well put! 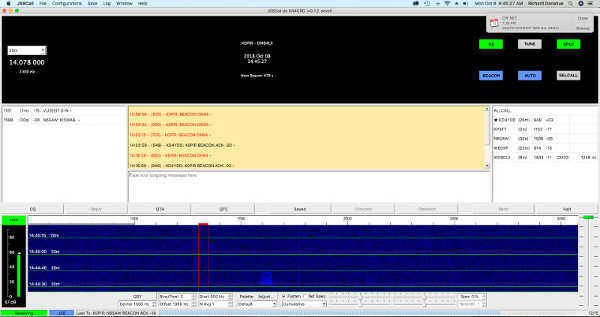 I have not downloaded the beta of WSJT-X yet, but I’m looking forward to it. I downloaded a windows version 0.7.3 from the group thing. It says it expires in fourteen days unless I upgrade. Where’s the upgrade button? I see waterfalls but decode nothing. Nice to hear from you and yes the expiring is common until the finial versions are out. Jordan will have an update on that same page you downloaded it from. I’m on 7.078 right now and decoding signals. Sometimes there won’t be anything or anyone on. Is your time synced on your computer? Hello Rich. Thank you for the fast reply. Time synced on the computer? Do you mean the software and computer time match? The software has it’s own clock? OK. I’ll look for the sync thing when I get home. Oh boy! I’m having fun…I think. Say hey to the family. I have a Windows PC and use NetTime. It syncs my PC time so the TX/RX in the software is spot on. Eureka, I went to 7.078 and call signs began to show. Learning things like it sends in blocks. Send button says 1/4, 3/5. I stopping it manually after it unkeyed. I’ll be on 7.078 this evening. Maybe we’ll decode together.